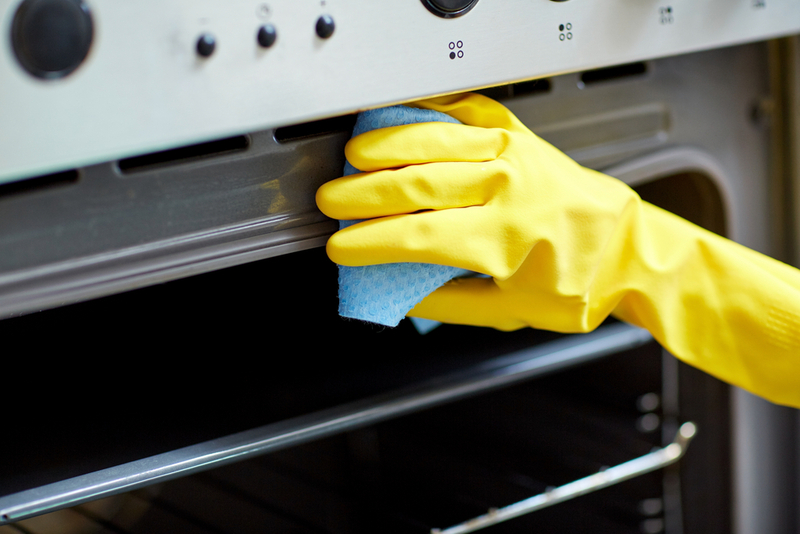 When was the last time you cleaned your oven? This year? This decade? Chances are, there’s a build up of gunk and grime. Time to break out the elbow grease and make it sparkle again. Here are seven easy to steps to get all that junk out. *Note: If you’re having trouble removing the tougher stains, scrub the area with paste made of vinegar and baking soda. If you liked these tips you may also like these posts on how to clean your microwave without any chemicals and 7 steps to a brand new looking stove.